The film features a cameo performance from Theresa Tilly, best known as one of the original “Ladies of the Evil Dead” from Sam Raimi's horror classic, The Evil Dead. The film world premiered at the 2014 Dances With Films Festival in Hollywood, CA and received the “Soul of Southern Film Jury Award” at the 2014 Indie Memphis Film Festival. Filmmaker Dan Riesser, formerly an Emmy-nominated producer on E! Entertainment's The Soup with Joel McHale, wrote, directed and produced Stomping Ground as his first feature film. 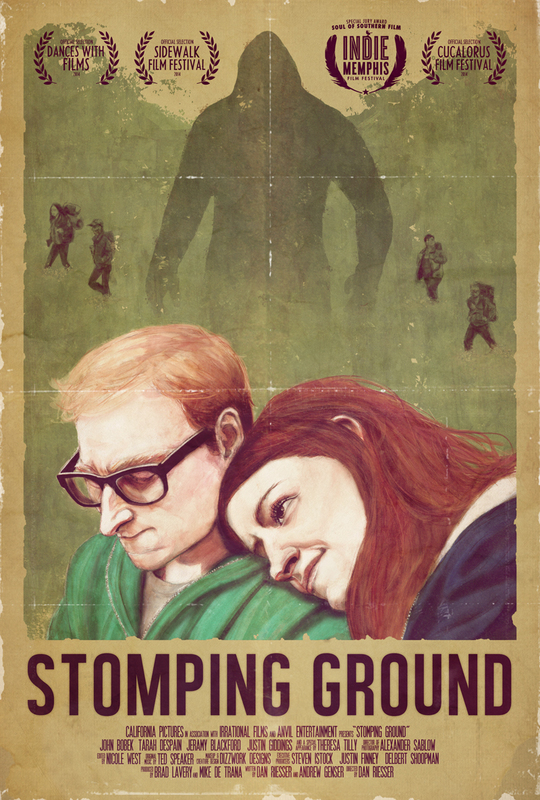 Stomping Ground lands March 8th on DVD and Video-On-Demand.